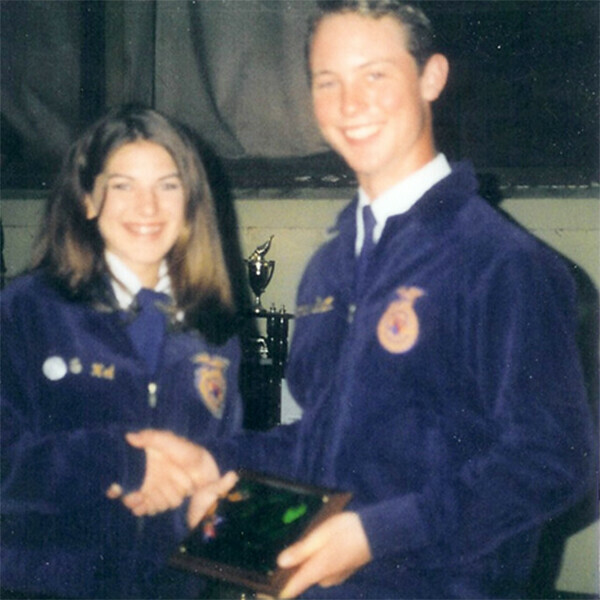 Freeman and Carol met in high school in the FFA (Future Farmers of America) and competed against each other in public speaking competitions. She was 15. He was 16 and had a truck. Freeman brought Carol flowers he grew on the farm – paperwhites were his specialty. Carol loved them. They gave her dad migraines. 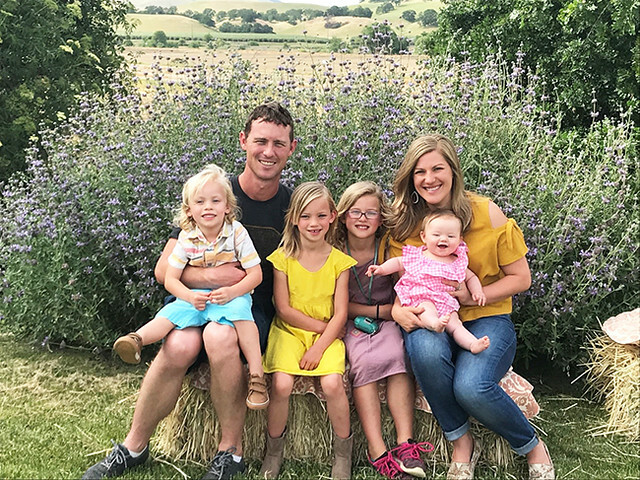 Their dating life consisted of a lot of selling at farmers markets, driving produce orders to the Bay Area, even going to equipment auctions for irrigation pipes and equipment. Freeman really knew the way to a girl’s heart. Freeman and Carol were the first couple to marry on our farm. Their wedding was a spring celebration in the garden outside the farm house. Now, Freeman runs the Farm Fresh To You delivery service and Carol focuses on marketing. They live on the farm with their four kids. They’re still working farmers markets and Freeman is still picking farm flowers for Carol. 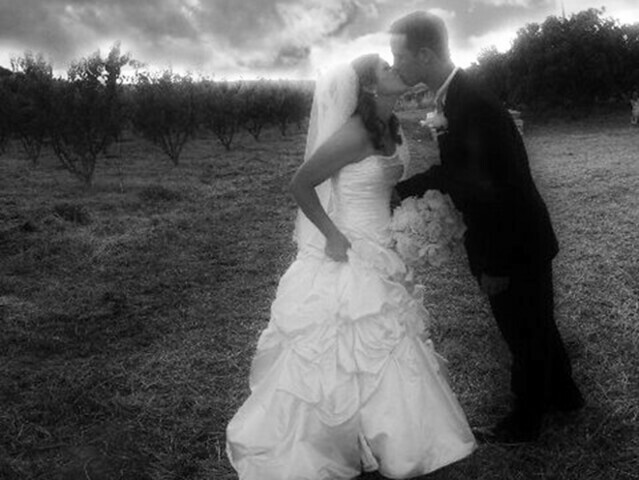 Interested in getting married on our farm? 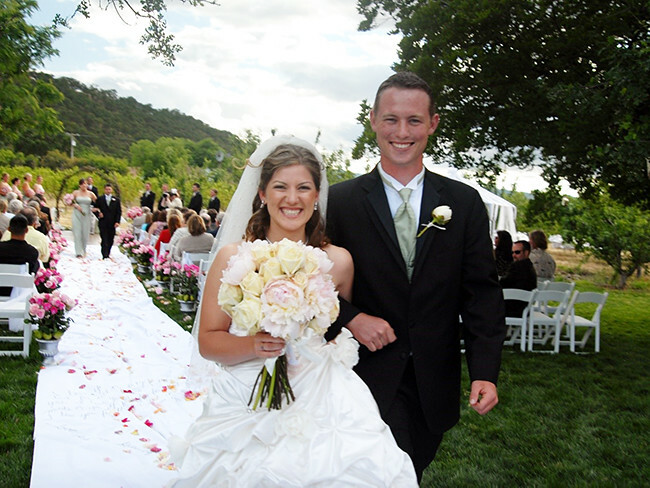 Events can be held along our oak-tree and lavender-lined, grassy plateau overlooking fields of fruits and vegetables and nearby citrus and stone fruit orchards. 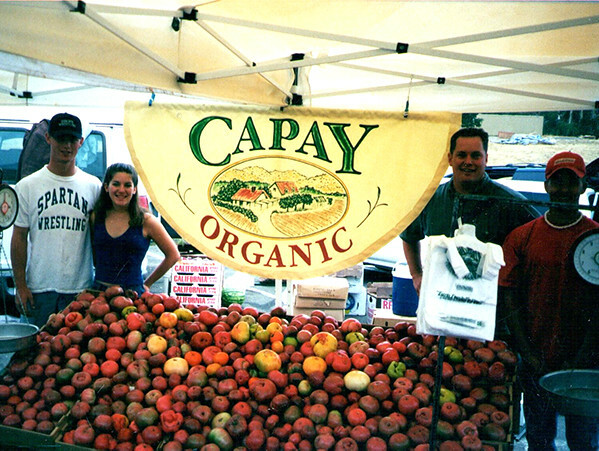 Contact us today at weddings@capayorganic.com to learn more!